AUDIOBOOK: I had no idea how quickly the audiobook would be ready after I approved it. This was my first time completing the process and my publisher didn't let me know how soon it could be done, so SURPRISE! 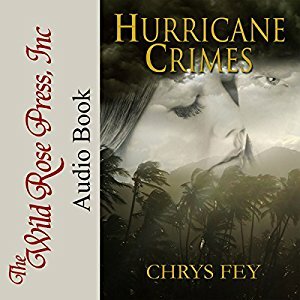 I have an audiobook for Hurricane Crimes! Remember when I first listened to auditions and chose a female narrator? Well, for some reason she took way too long to get back to us with the sample chapter, so we had to cancel the contract. But Craig Long, the narrator for Hurricane Crimes, did great. Although...it is still odd hearing a man trying to sound like Beth, my heroine. Bwahahaha! Nevertheless, he did a fine job. The discussion will start May 23rd. QUESTIONS: Did you listen to audiobooks? Have you ever considered learning how to write screenplays? Loved your "Mission" Quote Chrys. A good review for the book also. I read that dairy actually isn't good for the healing. :\ But I have non-dairy popsicles to enjoy. Congratulations on the audio book. It's cool hearing your work read, isn't it? Hope everything goes well with the surgery. It's cool and weird. I'm still new to audiobooKS. Haven't really gotten in to them myself, yet. Congrats on the audiobook. I understand your feelings about surgery. Went through two c-sections. Having to walk afterwards is not a pretty picnic. On the upside, at least you get to eat lots of ice cream, I think. Good luck and stay well! I've been through quote a few surgeries...spine surgery and gall bladder were the biggest, plus two "lesser" surgeries. Congrats on the audiobook! I listen to audiobooks occasionally, but mush prefer the written word. All the best on your surgery and recovery. Congratulations Chrys. I have started listening to ebooks. Takes some getting used to for me, but I think I'm going to like it a lot. Thanks, Sherry! I have to get used to audiobooks, too. I'm just so used to the written word. The good narrators can finish an audio book in no time. Congrats! Which is why it was so odd for this narrator to take weeks to do the first sample. Thanks! Hi Chrys - loved the audio sample ... good choice of voice actor - and yes it enticed me in ... well done. I had wondered if tonsils could grow back, in extreme cases. Wow. I've heard so many stories of it being easy and it being awful. I hope I lean to toward the former. Congrats, that is awesome! Get well soon with an with an easy recovery and lots of ice cream. So many people stick with audiobooks, so totally cool you've got one out there. Well wishes for your surgery. I've heard great things about Save the Cat. Good book club choice. 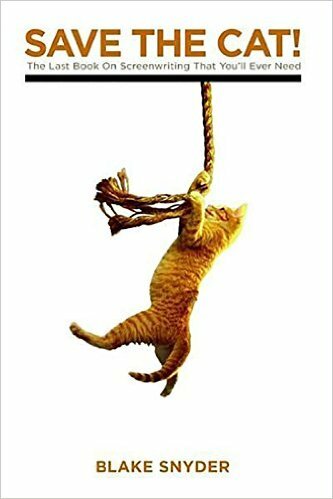 I'm excited to read Save the Cat. That is a great surprise indeed. I've always been interested in the idea of writing screenplays. I'm not into audiobooks myself, but they're very popular. Always a good move to make them available to people. I bought Save the Cat years ago when I was told it was the ultimate guide for any writer, not just screenwriters. Good luck with your operation. I'll be thinking of you. I'm not into them either, but I've been meaning to really give them a try. Woot for audiobooks! The sample sounds great. I hope things go well with the tonsillectomy. I got my tonsils out when I was in grade school so I barely remember the recovery. I vaguely recall popsicles. Lots of popsicles. I love Save the Cat! I love audio books and have been wanting to look into their creation more- but haven't had time. Sounds like it went faster than you expected. Hope all went well with your tonsils. I hope ice cream or Popsicles help! Sending healing thoughts! It did go a lot faster than I expected. A lot faster than when my books go into publication and I'm waiting months to get a release date from my publisher. Congrats on the audiobook! They are growing in popularity. I listen to them while cleaning up the kitchen and doing things around the house. But mainly we listen to them as we travel. A bad narrator can ruin a good book. I love Jan Karon's Mitford series, but I had to turn it off because the narrator just didn't sound how I pictured the pastor. Crazy, eh? I like your narrator's voice. Exciting sample. Today is tonsil-taking-out-day. Thinking of you. I can see how a narrator not sounding how you picture a character sounding can be off-putting. As an author, I was warned about that by my publisher that no narrator would sound like how I imagine my characters in my head. Congrats on the audiobook!! I hope your surgery goes as smoothly as possible. Take care!! Congrats on your audiobook! Sounds great! I really hope your surgery went well! Sending big healing hugs! I do enjoy a good audiobook from time to time, though I usually reserve those for large tomes and my commute to work. Audiobooks for large tomes and a commute or road trip would be perfect!